The migration of documentary, sports, and wildlife shooters, including myself, to large-format single-sensor cameras has created a powerful demand for optics that can re-create the versatile can-do-everything 2/3-type experience that many of us love. This has posed an almost impossible challenge for lens manufacturers like Canon who’ve never had it easy meeting the lofty and often conflicting demands of non-fiction shooters. Over the last decades, employing mostly small-format cameras our demands in optics have been tough enough. Shooting HD for wildlife and sports, needless to say, we wanted the longest telephoto zooms we could find and this is understandable. Compelling close ups tell the story, and for us in the sports and wildlife rackets, getting in close and staying there is the key to our success and to staying employed. Look in the eyes of a ravenous lioness in Tanzania or a shifty-eyed rhesus monkey in a Mumbai slum and audiences instantly feel and understand the story. Barry Braverman (L) and his assistant Jjimmy. In the 1980s, shooting mainly snowy egrets and some other large birds for National Geographic I bought houses and cars with the proceeds from my Canon 300mm 2.8L. At the time it represented a revolutionary new telephoto lens that offered breakthrough performance, speed, and contrast. 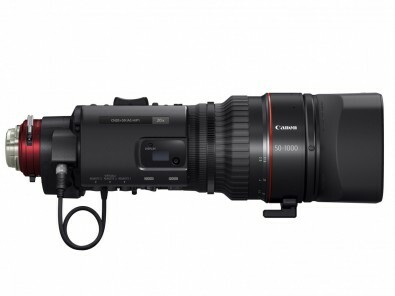 For sports and wildlife shooters Canon’s new 50-1000mm T4.5 4K zoom is a serious game changer and very much in the same league. Extreme telephoto scenes captured with 1000mm lenses can often add a distinctive signature look to a production. 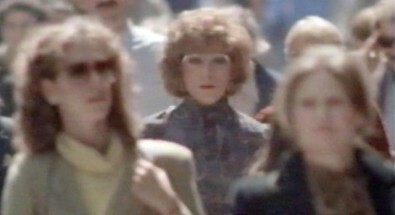 Above is the celebrated scene from Sydney Pollack’s Tootsie (1982) where Dustin Hoffman is revealed for the first time dressed as a woman. Below is the climactic ultra telephoto scene of humanity’s liberation from George Lucas’ THX1138 (1971). 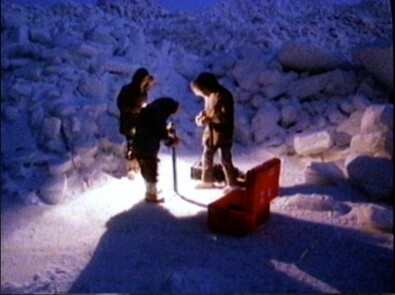 At the same time non-fiction shooters operating in typical uncontrolled environments also require an ample wide-angle. Being able to shift focal lengths instantly is critical to our craft and capturing coherent visual stories. Naturally we want our workhorse zooms to be fast with a constant f-stop, offer good close-focus capability, be compact and lightweight for optimal portability, and be really simple to set up and operate. Now toss in a 2X extender, a built-in servo, and a rear filter slot, and pretty soon you’re talking about some real complexity in a single miracle objective! The problem is of course many of these demands conflict, according to the laws of physics. 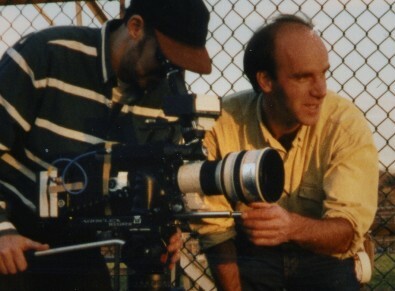 A fast zoom, for example, that exhibits minimal or no ramping, necessarily requires a larger and heavier front focus group, which then works against the lighter, more compact, and portable, mandate. Other trade-offs apply to a built-in extender that allows greater reach at the price of a significant loss of contrast, resolution, and light transmission. For wildlife shooters our demands start off simply enough. We need a 1000mm focal length for the bulk of our bread-and-butter work. This means being able to shoot a subject like a 1.4m gorilla (not a guerrilla!) full-frame at 100 meters. Performing a quick calculation and this works out roughly to a 1000mm lens. Of course we still have to consider size and weight, which are hardly incidental considerations when slogging one’s way through a dense Amazon jungle or across the Arctic tundra on a dog sled. I often say the most arduous part of my job is not the camera-shy wildlife or the usual naïve out-of-touch producer but the mere transporting and wrangling of all the gear day in and day out. In this context, and given the hassle and expense of airline travel, a practical 4K/1000mm zoom lens cannot much exceed 7kg (15lbs) in weight or 40cm (about 16-inches) in length. These are very real constraints that Canon had to consider when designing its new lens, and particularly the diameter of the input lens group. Canon ultimately settled on a 136mm front element, which enabled a maximum T5 (F4.5) maximum aperture. A wider heavier front element group could have marginally increased lens speed (not to mention the price of the lens) but this was considered not acceptable given the size and weight constraints. Canon may be miracle workers when it comes to optics, but even for them a few laws of physics still apply. Maintaining excellent contrast to the corners, Canon’s new 4K ultra zoom represents a real achievement in such a small and lightweight package. Various types of much lower dispersion glass were required, compared to comparable range latest generation HD lenses. The size of the lens front elements is critical. When lens magnification exceeds the entrance diameter capability, some light is inevitably lost. The amount of light loss or ramping is entirely related to the diameter of the glass as the pupil entrance diameter exceeds the physical diameter of the input lens group. Thus the imperative to limit size and weight in such a lens of very high magnification means that some significant ramping is inevitable. As mature shooters we don’t like it but we accept it and we are quite used to it. The Canon 50-1000 holds a constant T5 (F4.5) until 560mm when the entrance pupil size exceeds the available real estate in the front lens group, so a gentle ramping begins; the lens speed slowing to a still reasonable T8.9 at 1000mm. It used to be the slower speeds in long telephoto lenses posed a serious challenge to wildlife shooters, in particular, those of us who tend to work in uncontrolled, highly variable conditions, at higher than normal frames. Today with the advent of 4K cameras like the VariCam 35 with ISO 5000 capability, the slower speed of telephoto lenses is less of an issue and may even be advantageous by reducing the need for heavy ND filtration. The high performance of Canon’s 50-1000 4K lens may be attributed in large part to the sophisticated coatings used to maintain high contrast and sharpness to the corners characteristic of a true 4K objective. The uncoated lenses currently in vogue among artsy DPs produce plenty of flare and loss of crispness but these hobbled lenses have no place among non-fiction, wildlife, and sports shooters, whose mandate in life and in this business is another matter altogether. In order to meet shooters’ size and weight demands the 50-1000 required an entirely new design. While previous ultra zoom models contained four lens groups for focus, two fixed and two moving, several front elements in the new lens were removed in order to produce a lighter weight more compact design. The 50-1000mm contains only two front focus groups, one moving one fixed, with six elements instead of 10 or 11 as used previously in similar class optics. The 1.5X extender bringing the maximum focal length to 1500mm is all the more remarkable in a high magnification 4K zoom owing to the all-mechanical movement. Extreme precision and strategic use of aspherics are required to maintain good contrast with little to no breathing throughout the zoom range. 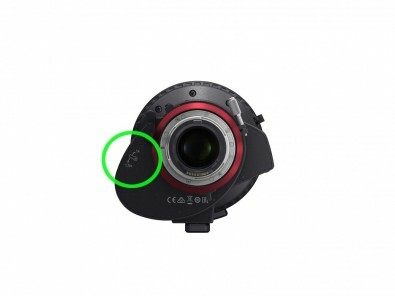 The laws of physics still apply however even to Canon; a one stop light loss is incurred, reducing the maximum aperture to T7.5 with the extender enabled. For Canon and other lens makers the recent remarkable advances in optics can be traced to the high degree of sophistication of the optical simulator. The lack of apparent chromatic aberrations in the 50-1000mm, and absence of breathing of focus throughout the zoom range, required that Canon produce special shape elements with an aspheric surface. One such aspheric surface is used in the front focus group to eliminate individual elements, which helps reduce weight and enhance lens speed. Additional aspheric surfaces are used in the variator group for the zoom, which compensates for aberrations in the focus group. Such complexity is not for the faint of heart. But then neither are the impossible contradicting demands we shooters make on the world’s leading lens makers as more and more of us adopt 4K capture as the norm, and we need the impossible 4K optics to enable it.